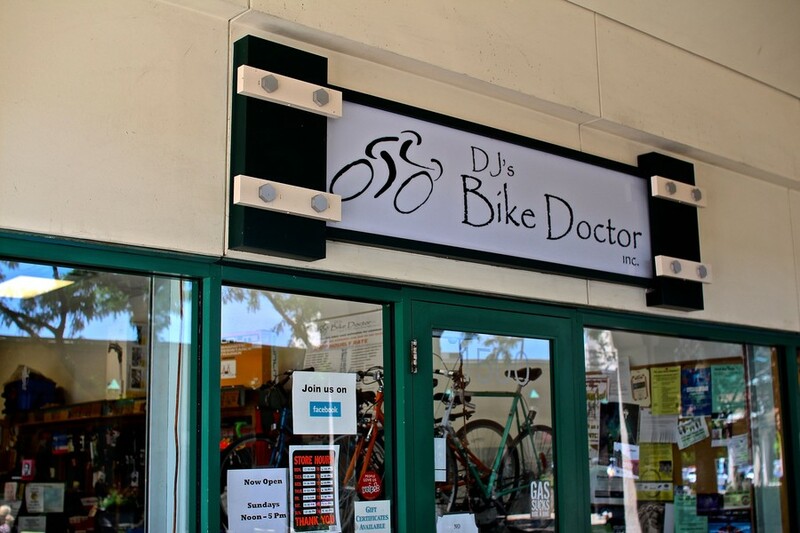 Local bike store and repair shop DJ’s Bike Doctor remains open for business months after founder and owner David Jones launched a fundraising campaign to save his store from financial troubles. Jones created a GoFundMe page and reached out to the Hyde Park community in January to keep his businesses afloat after unpaid taxes and low revenue threatened to close his shop. As The Maroon reported in January, the shop’s financial troubles began after two consecutive accountants failed to make the proper tax payments for the store. The accountants’ missteps amounted to approximately $30,000 in unpaid taxes to the IRS, according to a DNAInfo article published in January. Although, as Jones noted in an e-mail, he has “been working on bikes in Hyde Park for over 30 years in five different addresses,” DJ’s Bike Doctor first opened on 1500 East 55th Street in 2009. Since then, the increasingly long and harsh winters have shortened the cycling season and reduced profits, making the unpaid tax dollars more difficult for the store to repay. “The bicycle business is a seasonal one that often presents challenges, and when you combine that with the last two extra long winters we had here in Chicago, things have gotten hairy for us,” wrote Jones in an e-mail this week. Since January the GoFundMe campaign has collected only $525 of its stated $25,000 goal. However, Jones cited the contributions and the payment plan he worked out with the IRS as reasons for his shop’s survival thus far. “Taxes and GoFundMe are both long-term processes that I am working through with a payment plan [with] the government and additional operating funds from GoFundMe,” he said. Jones didn’t specify the exact conditions of his payment plan with the IRS, but said they reached an agreement to pay in the tax money over time. Jones also credited the Hyde Park community for his shop’s perseverance. “Our landlord [the University] has been very understanding and is always willing to work with us, and the community continues to bring their bicycles in for repairs and to purchase their new bikes from us,” he said. Jones has kept busy in recent weeks working on bike repairs. He attributed the recent uptick in business to improved weather conditions and the end of the school year, both of which typically bring more bicycles to his shop for repairs.